High end cooler in silver. Dimensions: 35cm W x 30cm H x 27cm D. Tough polyester with latex rubber backing and PEVA lining. 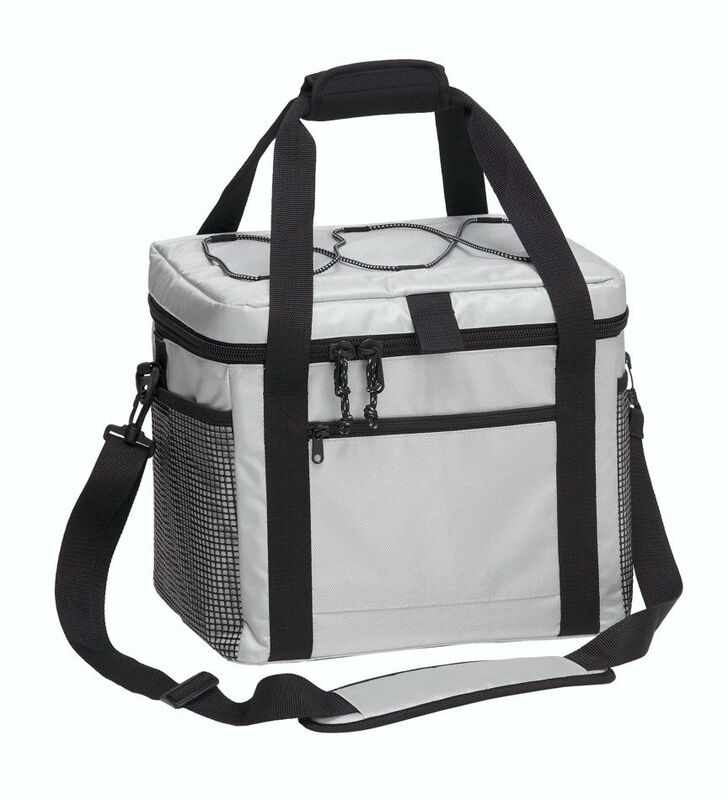 Huge extra thick thermal insulated main cooler compartment keeps items cool for 2 days. A special xmas gift.